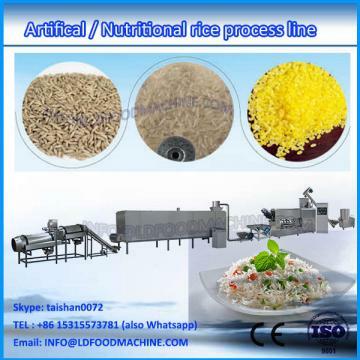 There are two LLDes of extruder can be choice in this processing line ,LD65 or LD70.Different extruder can produce different products and their output is also different .The processing line has high output and stealt performance.Besides ,its easy to operate.You can use corn powder,rice powder ,wheat flour ,millet or buckwheat as raw materials.The rice which is produced by the processing line is crystal ,brillant and nutritional. Our company(LD Co., LDd. 's )has good experience of the industry development. We have well-experienced managers, outstanding engineers as well as well-trained technical workers. By constant technical exchange with well-known firms of the same line in the worldand also by introduction of advanced technique and experience into our company, we have established a strong technical guarantee system. 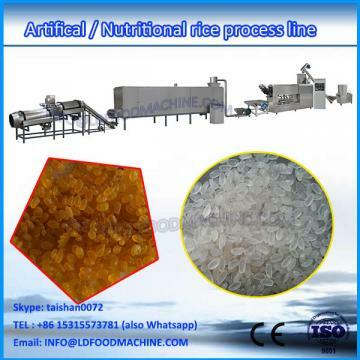 Our company is a manufacturer of puffed extruder and food . 1: If we buy machinerys, what is the after-sale service? we will send the engineer to buyer’s factory. Offer the trainee program, start the related food production as customer request. 2: If machinerys wearable parts need to change, what should we do? we will offer the wearable parts all the time. And offer the on-line video instruction for the operation. 3: What is the payment terms if we want to buy the machinerys?